Marina Baixa the comarca in the Valencian Community. Marina Baixa is a comarca in the Valencian Community, Spain. It is bordered by the comarques of Comtat on the northwest, Marina Alta on the northeast, Alacantí and Alcoià on the west and the Mediterranean Sea on the east. 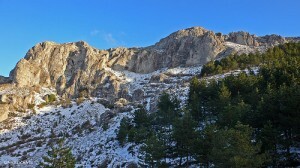 The Serra d’Aitana whose highest peak soars to 1,500 m.
The local fauna is composed by eagles, hawks, crows, blackbirds, swallows, foxes, wildcats, wild boars and a lot of smaller animals. The terrain is calcareous, so the landscape shows impressive caves and natural archways and fountains. Altea is an artistic retreat of winding streets and cobbled squares, the indigo dome of its church gleaming like a beacon of bygone times. 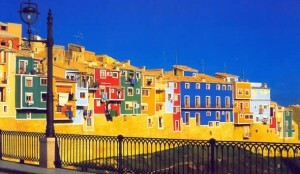 The traditional houses in Villajoyosa are colourful. Breathe in the sweet scent and the salty sea air. 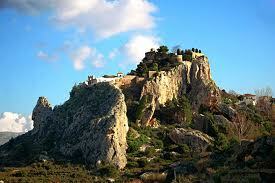 Nestling in the shelter of Puig Campana peak, the perched houses of Finestrat gaze out across its cove to sea. Part inland village. Part coastal town. At the foot of the SerraGeladaMountain, the sea laps soothingly at the shingled shore of L’Alfas Del Pi beneath the reassuring guidance of the Faro del Albir lighthouse. Tucked away between the mountains, the town of Castle Guadalest opens up like a picture book as you approach. Up, above, the ruins of the Almohad Castle of San José lie salient as old bones upon the rock. White on green, an ancient wash house stands above the town of La Nucia with is houses of stone wrought iron and aged timber. In Callosa d’en Sarrià, the lands of medlar trees, water crashes down the Fuentes Del Algar falls, wild and clear.